The Charleston tri-county area has the most expensive real estate in all of the entire state of S.C., and as such people find that it is more affordable to purchase a mobile home than to buy a standard “stick built” single family house. The tri-county is comprised of Charleston, Berkeley, and Dorchester counties with Dorchester, Berkeley and Colleton counties making up the rural communities of the greater Charleston. In these three or four counties you find there are a lot of “out skirt” towns if you will: Knightsville, Summerville (the largest of the outer cities), Goose Creek, Hanahan, Ladson, Moncks Corner, Meggett, McClellanville, Awendaw, Wando, Cainhoy, Ridgeville, Ravenel, Holly Hill, Saint George, Cross, Roundo, Walterboro, Cottageville, Pineville, Jedburg, Pinopolis, Santee, Johns Island, Bonneau, Eutawville, Harleyville, & Summerton. This is where most people who want to own or purchase a new mobile home will be located as there are very little large tracts of land the closer you get into town, not to mention large tracts of land close to town would be extremely expensive. * My personal suggestion is to purchase a newly built semi custom mobile homes Charleston SC, from one of the best dealer builders in the area and do a land home package. Find your own piece of land to own. There are a lot of misconceptions and misunderstanding about mobile homes, modular homes, pre-fabricated / manufactured housing in general so I will try my best to clarify. I have been in the real estate industry since 1998, have owned a mortgage company where I financed mobile homes. That said, I can tell you this, mobile home financing is hard to come by, and especially if your credit is far from perfect. Most banks, lenders, FHA, Fannie Mae, USDA and the VA have no interest really in writing mortgages on mobile homes, but they can’t discriminate based on type of home so the guidelines are far more strict. Why you ask? Simply put because they are a depreciating asset, and honestly they aren’t an asset really in the eyes of most financial institutions. I am sure by now you’re asking yourself, how does a house depreciate? All real property can depreciate and appreciate depending on market conditions just like stocks and bonds. First you need to understand that a single wide, double wide or even triple wide mobile home is NOT a house, UNLESS it has a permanent foundation. At least here in South Carolina (I suspect most of the U.S), mobile homes are looked at like a vehicle and automobiles depreciate in almost all instances (unless of course they are collectors cars). Hence, why mobile homes are sometimes still referred to as trailers, because people originally (generations ago) would hook them up to their cars and pull them behind their cars. Now most people think of a trailer as a camper more for vacation and touring around the country for fun not full time living. Nevertheless, most manufactured homes depreciate in market value, similar to the way automobiles lose value each day. Reality: While there is no one easy answer, recent data seems to suggest that manufactured homes can appreciate just like other forms of housing IF and ONLY if they have a permanent foundation. Usually, with it sitting on a block, brick, or real stone foundation and permanently affixed to the real property beneath it. The key word being permanent. If your property does appreciate and you have a mobile home on it that is not permanently attached and you own the land/dirt, likely it’s the land that has appreciated not the manufactured house. If you have ever thought, “if it’s a double wide or a triple wide then it is more valuable, and it’s not considered a mobile home.” Sadly, that just isn’t true. Sure there are hundreds of floor plans and many that exceed 2500 sq ft even, but that doesn’t mean much if anything in the eyes of the lenders. Another thing to keep in mind, the tongue has to be removed from the home as well. A bank or lender will never give you financing on a mobile home if the tongue (towing mechanism) is still under the structure, because you could just take it anywhere. So large manufactured housing builders, dealers, will do “in house financing” because this is often times the only way they can sell homes. Keep in mind however that the rates and terms will likely not be as favorable as you’d find with a standard house mortgage. On the bright side 99% of current manufactured homes are built just as good as a standard stick built home is, and in many cases you could even argue they are built better. This is because most national and state building codes require that the standards in which manufactured homes be built have to be such that they can withstand the same force as with a site built framed house. Also, they have to be built strong enough to withstand going 70 miles an hour down the highway. So from a quality of construction standpoint there is no reason to be concerned. SINGLE WIDE – Singlewide homes range from as small as 600 square feet up to 1,330 square feet. Singlewide is 18 feet or less and the length is 90 feet or less; the most common measurements for single wide homes is 72 feet wide by roughly 15 feet wide totaling 1,080 square feet. 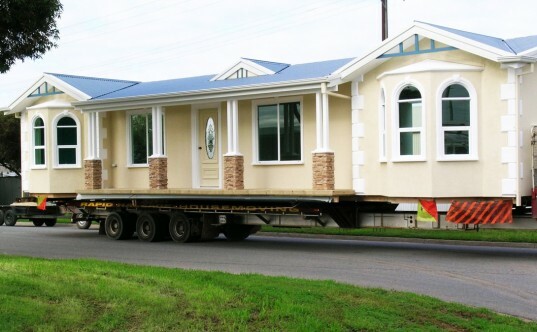 Singlewide homes are shipped as one unit on one semi-trailer. DOUBLE WIDE – start at around 1,067 square feet and go up to 2,300 square feet. Doublewide homes usually are width of 20 feet or more and their length is 90 feet or less. They most often measure 56 feet long by 26 feet wide with a square footage of 1,456. Doublewide homes are shipped as two separate pieces that are later joined together seamlessly to make a completed doublewide home. Nice waterfront home on large shaded lot on Fountain Lake. Easily launch your watercraft from your own boat ramp. Bonus room is used for 3rd bedroom w/privat bath. Great Sunroom overlooking lake has billiard table for family fun. Wonderful outdoor space for entertaining….